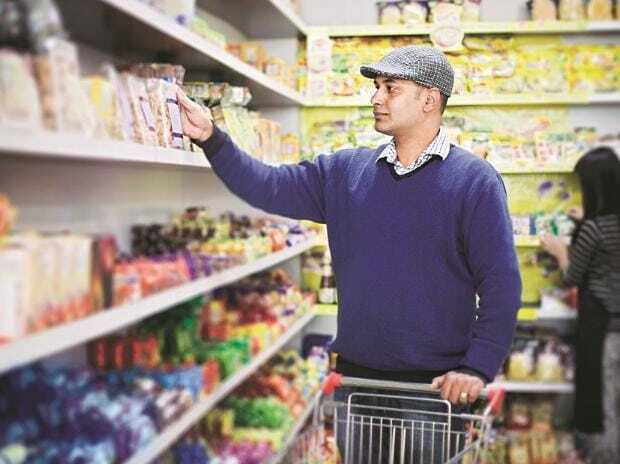 India's share in the final consumption of consumer goods is expected to double by 2030 and the favourable demographics will soon take it ahead of China in regional market dynamics, a report said Monday. However, India is at a comparative disadvantage vis-a-vis China because of factors like less urbanisation, high concentration of urban pockets and lower enrolments in higher education. "Demographics favour India over China in the long run," Swiss brokerage Credit Suisse said in a global report released Monday, pointing out India's strengths like population growth being ahead of China till 2045, when the quantum of working class population will be higher. It said in 2015, China had 150 million more people in working age than India, while by 2045, the northern neighbour will have 300 million less people than India in the bracket. Additionally, China will also have to grapple with ageing related issues by 2045, it said, pointing out that the Communist country will have 350 million people aged over 65 as against 200 million in India. It marked out the apparel and meat sectors as the ones with 'high' growth potential as the per capital income of the country grows, followed by beverages, cars, cereals, personal computers, smart phones and education with 'medium' growth potential, while healthcare, consumer credit and tourism were the ones with 'low' potential. The two neighbours will account for 15 percent of the overall final consumption of products in the world by 2030, it said, adding that India's share will double to nearly 6 percent from the 3 percent levels in 2016. From a consumption perspective, the Chinese prefer more of travel and entertainment-related options, it is staples that dominate the Indian story, the brokerage said. India scores over China when it comes to spending intentions, the brokerage said, pointing out that the desire to spend is declining "more broadly" in China. Interestingly, it is the home-grown brands like watchmaker Titan, hosiery company Rupa and another watchmaker Sonata which are gaining the most out of this propensity to spend in India, it said, adding that foreign brands count lower from this perspective.